Born Aulus Vitellius on 24 September 14 AD. He was appointed by Galba as Governor of Lower Germany. The legions there proclaimed him emperor on 02 January 69 AD. After brief negotiations, the legions of Vitellius marched south into Italy and defeated Otho who had rep laced Galba in a coup just days after Vitellius was proclaimed emperor. He arrived in Rome in July where the Senate proclaimed him Augustus. The General Vespasian was proclaimed emperor in Alexandria on 01 July 69 AD by his legions who were in the process of putting down the First Jewish Revolt. The Armies of the Danube supported Vespasia n and invaded Italy. 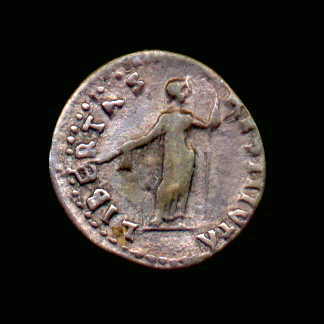 Vitellius' troops were defeated and the emperor announced his intent to abdicate. He was shut up in his palace t o await the approaching Flavian army who entered Rome two days later. 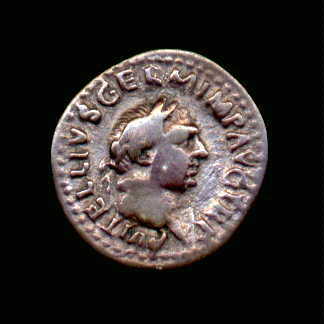 Vitellius was dragged through the streets and murdered on 20 Dec ember 69 AD after a reign of just less than a year.